Powder for the crystallization of marble and travertine surfaces. The powder gives brightness to the surfaces without creating films and keeping the natural aspect. It makes the surface permeable to water and dirt making the cleaning easier. 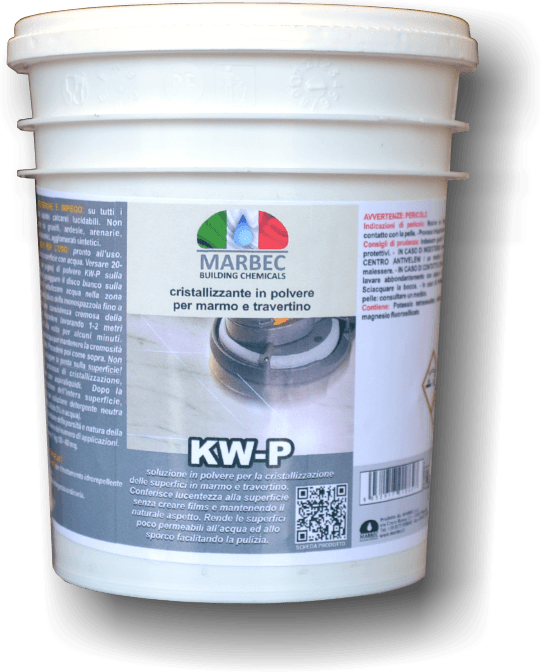 KW-P is a powder crystallising for the polishing of marbles, travertines and calcareous stones that can be polished. 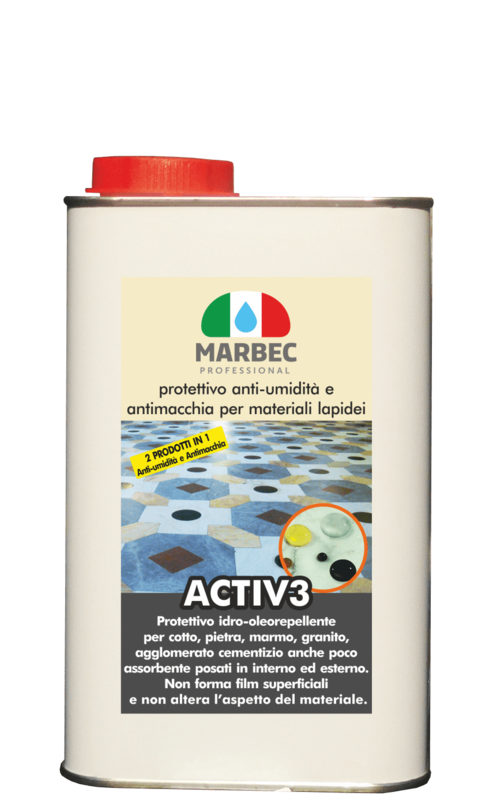 Do not apply on granites, slates, sandstone, ceramic materials, synthetic agglomerates. the product can be used with floor scrubber and white disc (on floors and big surfaces) or with a drill equipped with a backing pad with wool polishing bonnet (on little surfaces, as tops, shelves, tables, etc). On badly corroded surfaces we recommend to sand down in advance the material with an abrasive paper of grain 400 and 800. WITH FLOOR SCRUBBER: spill 20-60 gr of powder KW-P on the surface, lay the white disc and nebulize water along the surrounding area of the disc during the friction until the apparition of a white mash. Proceed working the product on a few square meters during a few minutes. Add a bit of water to the powder to maintain the creaminess of the product. Then proceed like above. Do not leave the paste to dry on the surface! Once the crystallisation process is over, remove the residues with a machine able to aspirate the liquids. After the crystallization of all the surface, clean with a neutral detergent solution (ex. UNIPUL diluted 5% in water). WITH DRILL AND WOOL POLISHING BONNET: wet in advance the surface with water, spill a few grams of powder under the backing pad and scrub strongly doing pressure on the backing pad for a few minutes, until obtaining a white mash. Eliminate with water and sponge the formed residue and leave it to dry. depending on the porosity and the material to polish and on the number of applications. Ordinarily: 1 kg /30 – 40 m². 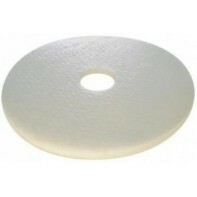 WHITE DISC has no abrasives, is suitable for cleaning and polishing surfaces. 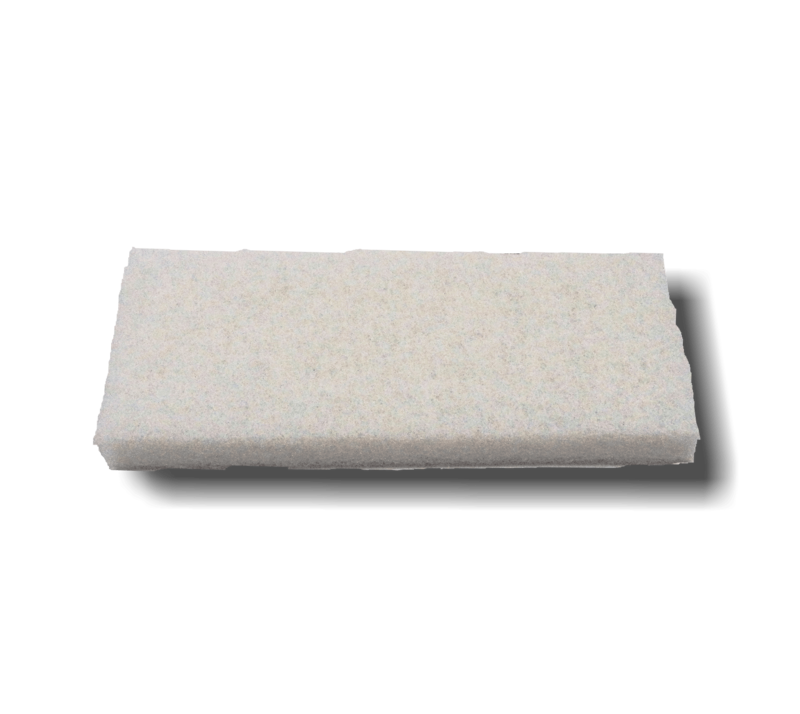 The WHITE BUFFER is without abrasives, suitable for cleaning and polishing surfaces.